For a 'No Need To Cry If It Gets Lost Or Broken' (NNTCIIGLOB™) Bluetooth headset, look no further. At £22.46 (inc p&p) it allows you to listen to music, answer calls on your smartphone. And when not in use, it folds into a (provided) drawstring bag. And the (provided) charging cable is a standard 'mini-usb' connection, so if you forget/lose it, you'll have no problem finding another one. 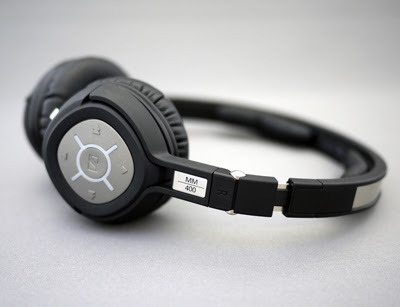 The sound quality is very listenable, although the 'closed' earpieces leak a lot more sound than the Sennheiser MM 400 unit I reviewed. My regular searches on audiophile forums for a pair of portable wireless headphones that sound as good as wired headphones had me move towards purchasing a pair of MM 400s, but the £200 list price seemed a bit steep. A half-price offer on Amazon encouraged me to take the plunge, and a couple of days later the familiar brown & black cardboard package arrived. First impressions were good. 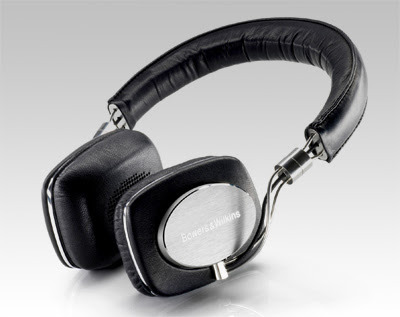 They are a well-built, with soft leather padding on the ear cups and headband. When folded they fit neatly into the provided 11 x 18 x 5cm nylon carrying case, which has a side pocket for cables. Charging is via your computer's USB port, or with the provided mains charger. The headphones have a non-standard socket, meaning you have to use the Sennheiser-supplied cable, and the cover for the socket is flimsy and poor-fitting, one of the plastic hinges on it has already broken after just a few months use. Claimed operating time is 10 hours, but if the batteries expire, you can connect directly using the supplied cable. Pairing to my iPhone was simple and quick. 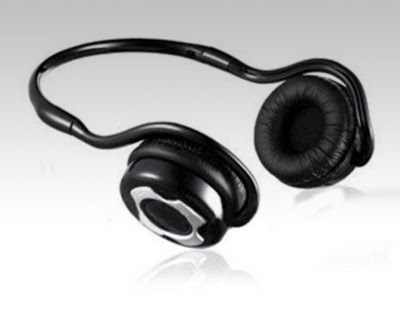 The closed earpieces are comfortable, and keep the sound extremely well contained. The volume (like all Bluetooth headsets I have used) won't go as loud as a wired pair, but is perfectly adequate. The sound quality is not as detailed as the B&W P5s but the overall quality is involving and enjoyable to listen to for long periods of time. And despite being closed, the earpieces remained comfortable. The play/pause/skip/volume controls on the right earpiece all work efficiently and mean that you can leave your iPhone in your pocket/bag most of the time. The Bluetooth reception is the best of any headset I have used, with only the occasional 'blip'. I am also pleased to report that they stay firmly in place on my Sunday 4-mile runs, although the isolating effects of the closed earpieces does mean you have to be extra careful when crossing roads! Although I don't use my iPhone much as a phone, the couple of times when incoming calls have occurred, the pause/resume buttons worked fine, and the microphone picked up my voice just fine. 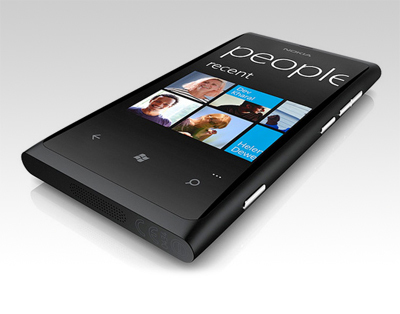 Nokia has officially launched its Windows Phone range, kicking the line off with the Nokia Lumia 800. As expected, the 3.7in, 1.4GHz phone resembles the N9 but runs Windows Phone 7.5 Mango, through which the Finnish outfit has included an array of features unique to Nokia. One of these is Nokia Drive, the company's navigation system. Users can download maps to save on roaming charges, get a 3D view of the area and navigate with voice control. Then there's Nokia Music, a platform for all that jazz. This includes Mix Radio, which throws up preset music mixes free with no subscriptions or logins required. These can also be taken offline for times with no signal. Vodafone, Three and Orange have already confirmed they will offer the 800, as have Carphone Warehouse and Phones 4U, who both have the handset available from free on £31-per-month contracts. Pay as you go versions are available for £450. Tony Fadell took an idea he had for a new gadget to Apple. It was a pocket-sized hard-disk MP3 player. Apple was impressed – and, just over a decade ago, released Fadell’s creation as the iPod. While Fadell was working on his house, he had a new brainstorm. Why not take the thermostat – one of the most boring devices on the planet, and make it interesting? Inspired, he co-founded a company called Nest Labs. It’s announcing its creation, the Nest, which it plans to ship in November for $249. 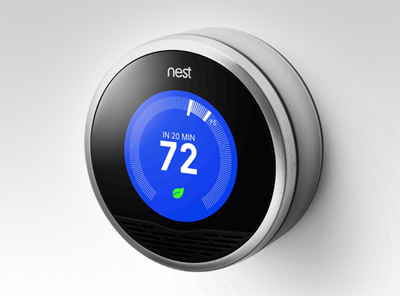 Unlike most modern thermostats – the Nest is a sophisticated piece of consumer electronics. Inside the metal ring you spin to control it is a round color LCD. It’s also got Wi-Fi and embedded motion detectors, allowing it to have a sense of what’s going on around it. It can pay attention to its surroundings and turn down the heat automatically when it notices you’re not around. As you adjust the temperature, it can pay attention, learn, and start to adjust it itself to mirror your habits. 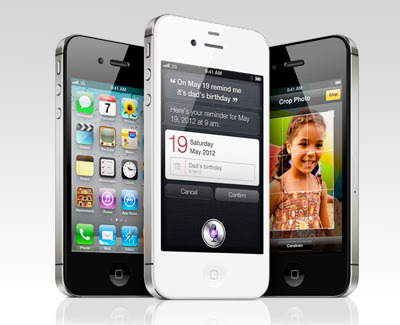 It allows you to control it remotely over the Web or using an iOS app. When you set it to a particular temperature, it tells you how long it’ll be until it reaches it. The 13" MacBook Pro now comes with 2.4GHz and 2.8GHz processors, up from 2.3GHz and 2.7GHz. The standard hard drive sizes have been increased from 320GB and 500GB to 500GB and 750GB. 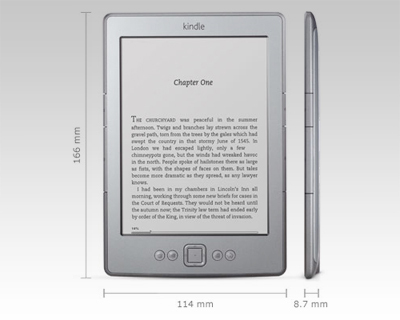 The 15" models have been given 2.2GHz and 2.4GHz processors, replacing the 2.0GHz and 2.2GHz processors in previous models. The graphics cards have also been updated — the 2.2GHz gets an AMD Radeon HD 6750M with 512MB GDDR5, and the 2.4GHz version gets an AMD Radeon HD 6770M with 1GB GDDR5. 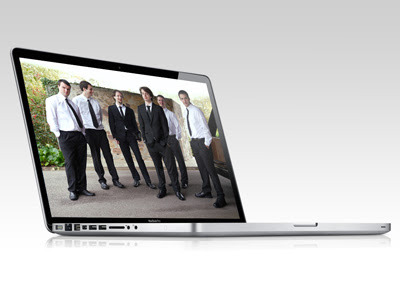 The 'base' 17" MacBook Pro has a 2.4GHz processor, 750GB hard drive and an AMD Radeon HD 6770M with 1GB GDDR5. Prices remain unchanged, starting at £999, although if you're visiting the US you could pick up a shiny 13" MacBook Pro for £250 less. AKA, Sgt. Larvelle 'Motor Mouth' Jones in the Police Academy series. I dislike conventional 'energy saving' bulbs, their long warm-up times annoy me, and I don't like the quality of the light even when they are glowing at full strength. LED lights reach full brightness instantly, last for ages, sip energy and run cool. But up until recently they have suffered from high initial price, and the quality of the light has been too direct and 'blue' for most tastes. From the excellent reviews on Amazon.com of the $179 Beacon 600s pictured above, it would appear that the light-quality issues are being conquered. And the predictions are that, like flat screens, prices will tumble over the next couple of years. I recently got the chance to borrow a pair of B&W's high-end (£250) 'designed for iPhone/iPod' headphones. 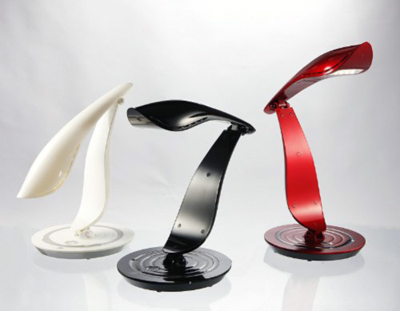 They are an 'open' design, meaning they sit on your ears rather than enclosing them. The advantage of this is that they allow you to hear what is going on around you. The disadvantage is that they allow other people to hear what is on your iPhone/iPod's playlist. The earpieces/headband are covered with soft, comfortable leather. First impressions of the sound quality is of a pleasant, clear and open sound, but lacking in bass. However, after half-an-hour of listening, you begin to notice intricate details in the songs and become involved in the music. A particular highlight was walking down Regent Street on a busy Friday evening, with the music from the headphones mingling with the sounds of cars and revellers in a way that gave the walk a surreal 'I'm starring in my own music video' quality. The volume rocker on the wire is useful if you listen to a wide range of music, allowing you to boost classical sections and mute the death metal tracks without having to take your iPhone/iPod out of your bag/pocket. They were comfortable over long periods of use and remained firmly in place while being jostled on Tube trains and during brisk walks along Oxford Street, though not when running across busy roads. 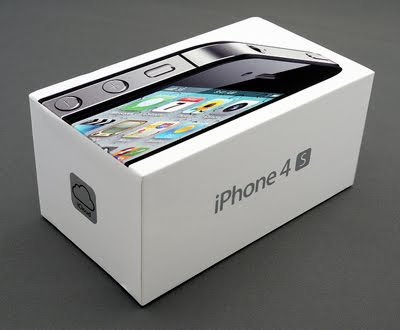 My 64GB iPhone 4S arrived yesterday morning. Transferring the O2 microSIM and the 28GB of information that had previously resided on my iPhone 4 proceeded without a hitch. I still get a kick out of how easily I can transfer so much data from one machine to another. Can't comment on iCloud, because I haven't made the switch to Lion, but MobileMe is working fine for syncing my calendars, etc. Operations are significantly quicker, registering more as 'smoothness' than 'speed'. My first attempts at using Siri were promising, but a 'live demo' to some colleagues ended in a mixture of hilarity and profanity. However, I did create a couple of texts and reminders on my drive home that I would have otherwise not been able to. The camera is significantly better than the (far from rubbish) one on the iPhone 4. Compact camera manufacturers must be wondering how long it is before sales hit terminal decline. I think the speaker/amplifier may have been upgraded (or the one in my iPhone 4 was defective). The sounds seem louder, richer and clearer... my alarm this morning made me jump! Otherwise, everything is comfortably familiar. No new case to purchase, the same tight build quality, the same beautiful screen. Register Hardware has published a review of 10 mid-range earphones. 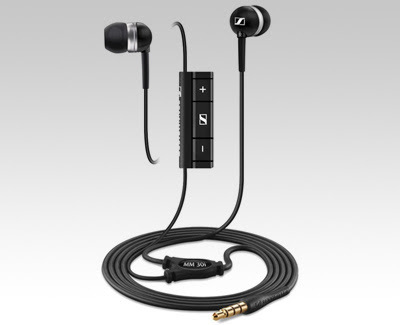 The best 'bang-for-your-buck' comes out as the £40 Sennheiser MM30i (pictured above). 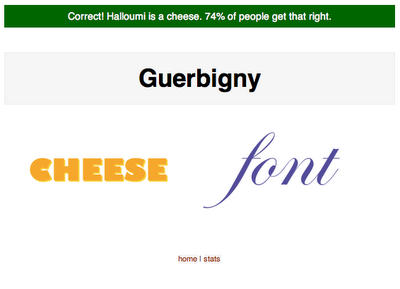 Your mission is simple: achieve pleasant and readable text by distributing the space between letters. 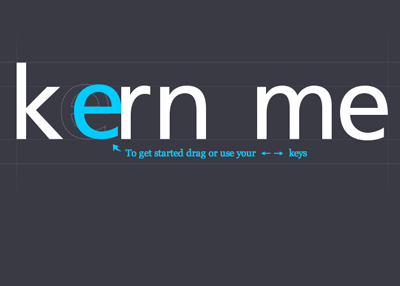 Typographers call this activity kerning. Your solution will be compared to typographer's solution, and you will be given a score depending on how close you nailed it. If you're pondering whether to acquire Apple's latest iPhone, Daring Fireball has published a full, fair and succinct review. for being such a good Dad. Thanks for taking me overseas. Thanks for taking me to where you worked. even when you really hated it. Thanks for building me a shiny yellow catamaran. Whatever did happen to it? Thanks for helping me learn to ride (and fix) my bicycle. your tools learning how to fix my bicycle. I learned how to sink, metaphorically and aquatically. when I fell down stairs. At least, I think I'm grateful for that. Thanks for teaching me how to sail. Thanks for letting me drive your cars. Yes, there were a few near misses. Thanks for teaching me how four- and two-stroke engines work. I still use those diagrams to teach other people how they work. Thanks for letting me have a motorbike. Thanks for helping me fix real four- and two-stroke engines. Thanks for getting angry when I lied. I don't remember what I lied about, but it was under the treehouse in Kalamunda. You were really cross. It didn't stop me lying, but it was a start. Thanks for believing in me and for standing by me when I messed up. Thanks for teaching me about hard work. By word and example. Thanks for showing me how to draw World War II fighter planes. Thanks for putting up with me practicing the Eb horn, trumpet and guitar. Just be thankful I never took up drumming. forgotten. It's probably more than a million. Anyway. Thanks Dad. 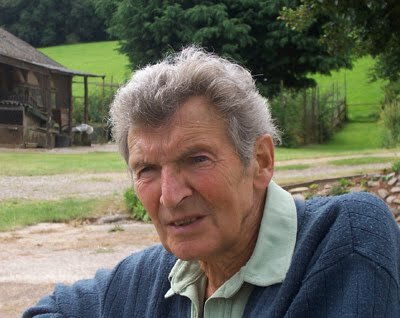 My dad died died peacefully in his home at 3am, 1 October 2011. 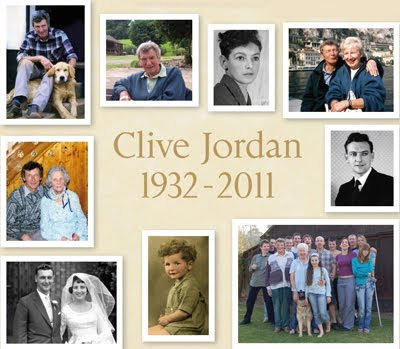 Will publish a tribute tomorrow. 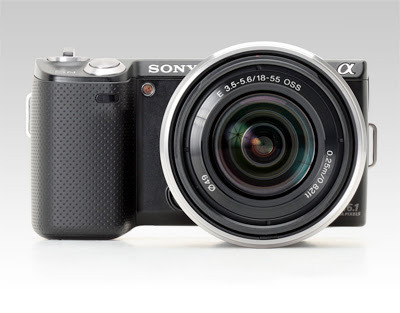 Digital Photography Review has published a full review of Sony's mid-range EVIL camera. "The NEX-5N is a significant update to the NEX-5 in terms of both usability as well as customizability. The NEX-5N's image quality is excellent. The 16.1MP sensor in the 5N is capable of capturing images that rival some of the best APS-C format DSLRs on the market, and up to ISO 6400 image quality is impressive. Even at ISO 12,800, image quality is perfectly acceptable for online use and for small prints, and far ahead of most of the NEX's Micro Four Thirds competitors." "Like the NEX-5 the 5N has a more pronounced hand grip than the one found on NEX-3/C3 which we find more comfortable to hold, especially when shooting in one hand. The NEX-5N is not a large camera by any means but the possibility of pocketability becomes unlikely with anything besides the 16mm pancake lens." "Considering its sub-$700 price point this is truly impressive, and makes the 5N a very attractive option for anyone looking to upgrade from a compact camera, or even as a second body alongside a more conventional DSLR outfit." Brett's 2p'orth: The Sony NEX series is the only EVIL camera that has tempted me to consider moving from the Micro Four Thirds format. However the ergonomics and lack of decent 'prime' lenses, along with the promise of improved Micro Four Third sensors in the near future will keep me loyal for a while. Over-extended metaphors aside, as every photographer knows, the best camera you own is the one that you have with you. And the funny thing about phones is that (with the apparent exception of my mother) most people carry them around pretty much all the time. I never learned to love the 3G's 2MP output, but I did learn how to exploit the camera's few strengths (good metering, nice colors and acceptable detail in decent light) and to use its 'distinctive' characteristics creatively. For me though, what really transformed the iPhone into a serious photographic tool was not the hardware, which until the iPhone 4 was poor compared to most compact cameras, but the huge ecosystem of applications which sprung up around it. In the years since the iTunes app store was launched, the impact of both the iPhone as hardware and the idea of 'apps' on consumer level digital imaging has been profound. With a range of carefully-chosen apps installed, my iPhone can create moody black and white images, atmospheric lomo-esque shots and fake Polaroids. 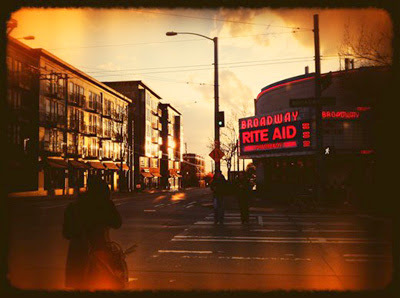 Of the thousands of photography apps available for the iPhone, Hipstamatic is one of the most popular, and fun. The iPhone has made me more open-minded. I don't get out with my DSLR as much these days as I'd like to, but when I do, this new open-mindedness extends to my more 'serious' photography as well. I'm less liable to get hung up on the technical risks of attempting a certain shot, and more likely just to go for it, and see what happens. My iPhone has also proved invaluable for keeping in touch with friends and family back home in England, and I'm not just talking about phonecalls. Services like Instagram allow me to share photographs I've taken on my various wanderings around America. Friends follow my Instagram stream, and I follow theirs. It's no substitute for a conversation, but it is nice, nonetheless, and helps narrow the 5,000-mile gap a little. At a major tradeshow last year I got talking to a fellow journalist who was using his iPhone 4 exclusively to illustrate his online coverage of the event. His reason? He likes the images it takes, the quality is fine for the web, and it's much less bulky than his normal DSLR. My initial reaction was that there was no way I could - or would - use my iPhone in the same way, but the conversation made me think. Why not? 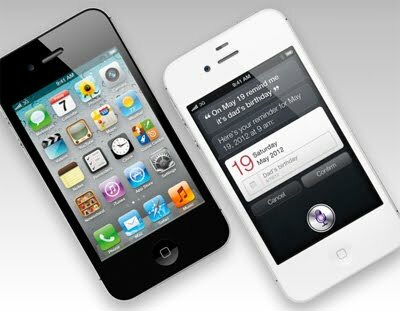 The latest iPhone gets Siri (voice control), a faster processor, a better camera & 1080p video. And up to 64GB of RAM. Available from 14 October, from £499. For more info, including videos, click here. 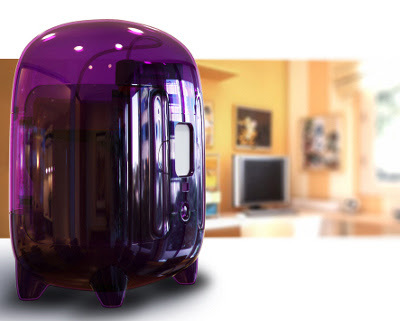 Origo - My First 3D Printer? Hello, I am Origo. I am a 3D printer for ten year olds. You can draw your very own things in 3Dtin and I’ll build them for you. Right now, I am just an idea. I will be as easy to use as an Xbox or Wii. I’ll be as big and expensive as three Xbox 360s. I will sit on your desk and quietly build your ideas, drawings and dreams. There are other 3D printers. But none will be as easy to use as I will. None will be as reliable or work as hard for you. I’m not a kit or an industrial machine. I’m not complicated. I’m an appliance, like a toaster or a microwave. Only I’m purple and make your stuff. You don’t have to be ten to use me, but it helps. Sure adults are older and can do lots of different things such as drive a car and use a drill. But, adults aren’t really good at imagining things. They’re afraid. Afraid of failing, afraid of not making the perfect thing. They see the world as it is, not as it could be. They see what can’t be done, not what could become. Kids are not afraid. They’ll draw anything and everything. They’ll make whatever it is they feel like. They’ll imagine, dream and create. And that’s what I’ll help you do. You could share me with your brothers, sisters and parents and make together. You could teach them how to make the world as they want it to be. Most of all though, I’m a tool for you.